She became a television anchor, with her popular TV show Wah, Kya Scene Hai on Zee TV in 1993, which was followed by the highly successful, Uncensored, in which she introduced High Society (HS) and Low Society (LS) concept, and sitcoms like, Jaane Bhi Do Yaaron, Shrimaan Shrimati and Archana Talkies on Sony TV India. Later in her career, she received offers from television producers and most of her serials were successful like Junoon and Shriman Shrimati. She also started hosting chat shows featuring celebrity guests. 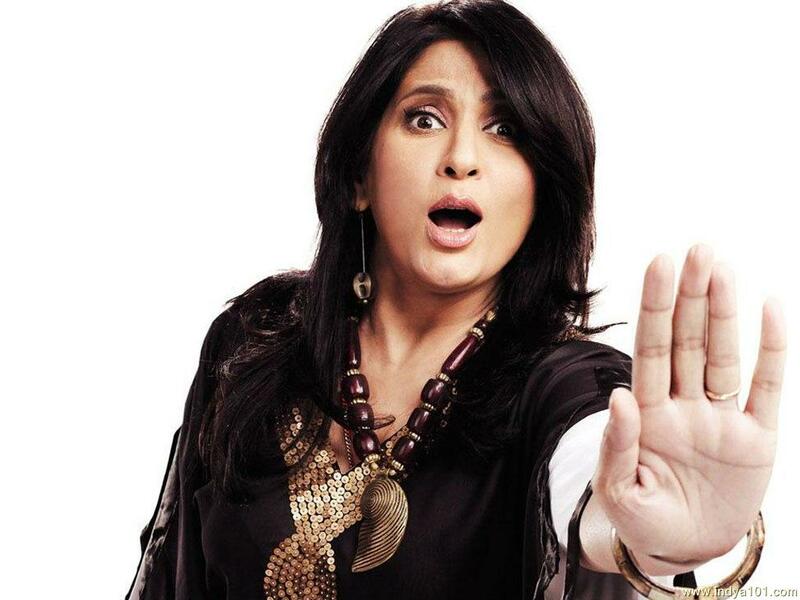 In television, she first entered with her tongue and cheek show, Kya Scene Hai, supplying Bollywood gossip in the 1990s. In 2005, she was a contestant in the dance reality show, Nach Baliye (Season 1), in which she participated along with her husband, Parmeet Sethi, they were eliminated in the sixth episode. In 2006, she, along with her husband, hosted another dance reality show Jhalak Dikhhla Jaa (season 1).